at A1 we offer a complete package for motorcycle training. lessons, we have the course for you. A1 Motorcycle Training School LTD is a Family run Business and was formed in Gateshead 2009 and since that time has trained Thousands of students to ride motorcycles safely on the streets of the North East. Our staff, along with being experienced are also very friendly and have lots of patience. We operate motorcycle & motorbike training courses and lessons throughout Newcastle “seven days a week” and have a very high unrivalled pass rate . All our full licence courses are flexible to accommodate your specific needs. taking you from CBT to full licence and beyond. have passed your full car licence before February 2001. Full UK bike licence with a two-year power restriction on what you can ride. Aimed at those not wanting to ride anything too powerful for two years and the only licence option “available to those aged 17+”. 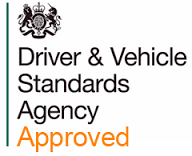 This licence can be gained using either a manual or automatic motorcycle. New motorcyclists who want to ride a moped may take their test on a 125cc moped, this will entitle them to a restricted license only. Upon completing your CBT you are entitled to ride “a moped of 125cc or less”, providing you display L plates, both on the front and rear of the moped at all times. We strongly advise all new riders to complete a test and not to simply complete a CBT and then ride on public roads. New riders may find this useful to gain experience to then go on and complete your restricted license test.